This little bottle is now my second one. I think relaxing baths are the best things after a stressful day to calm down. And I absolutely recommend this product not just because of his smell. It smells obviously like peach and I connect the smell with a greenfield full of pretty flowers. The consistency it's not to liquid and it makes some really big bubbles. 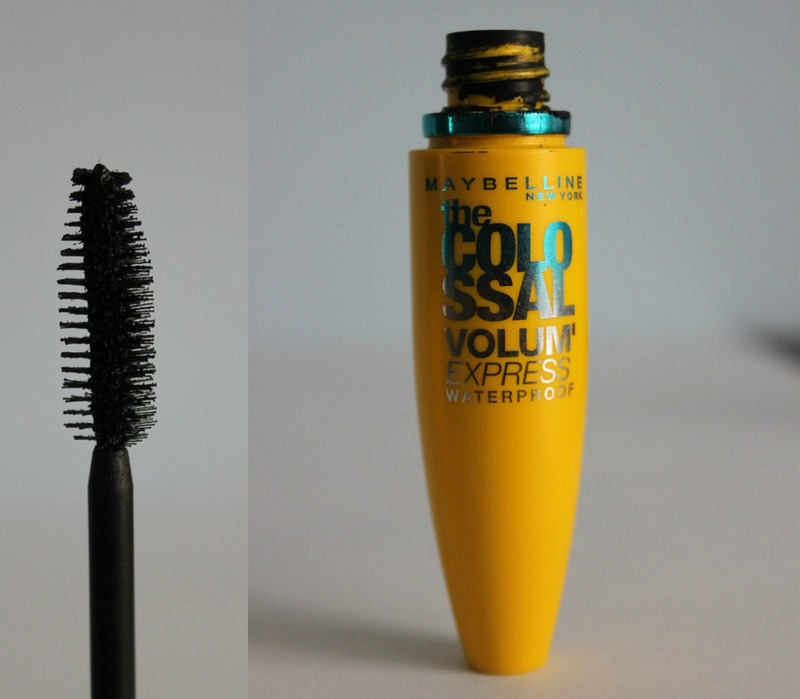 I love going to the beach or to the swimming pool during summer and that's why I always use a waterproof mascara. The main reason why I use it is that it does not smudge. I hate it when I left the pool and I look pretty much like a zombie because my not-waterproof mascara does not want to stay in place. This mascara is an old one from their last collection I think. I would like to try other waterproof mascaras, which one do you recommend me? I can't remember when and where I bought this lip gloss but all I can say it's amazing! I'm that kind of person who hates when you put on your lip gloss and after a few minutes the wind blows and your hair sticks totally on your lips. I think I'm not the only one. I've used this lip gloss a lot and I can't think of one time, when that happend. I've picked it up in the shade 61. Actually it hasn't got a shade only little glitters on it. It's an ultra shiny and hydrating lip gloss and it's worth to buy it! I mentioned this lipstick in my last post. You can read it here if you haven't already. Like I said this lipstick is amazing! The color is really luxurious and it's perfect for summer. This lipstick looks really nice if you have a bit of a tan. 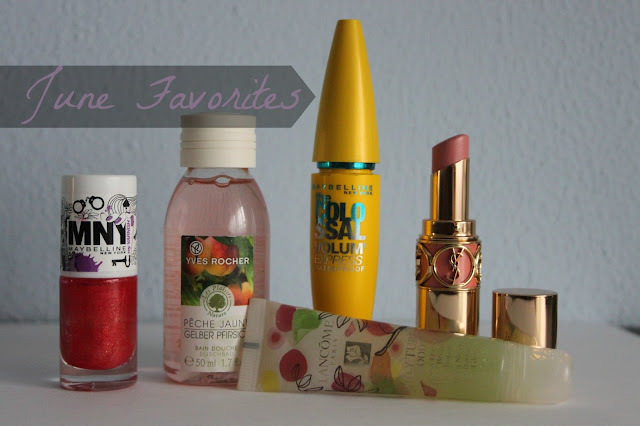 Let me know if you've had any new favourites worth trying! I love what you chose for your favorites and I hate when my hair blows in my lip gloss too! lol and could you tell me what kind of lipstick that is in the picture? It looks very pretty. I've seen a lot of blogs talk about it but I can't remember the name! woops xD I feel stupid! I didn't see your last post! Sorry! Love the Lancome juicy tubes too!